Looking for a park-related activity this weekend? 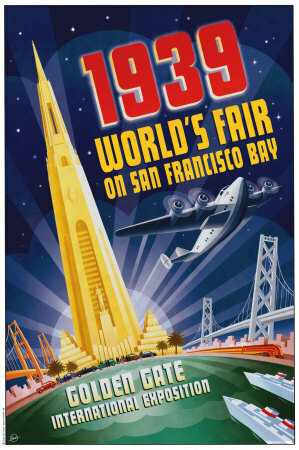 Why not join the “Lost Parks” crew on Treasure Island, for the 75th anniversary of the opening of the 1939 World’s Fair! The event is being held in Building One on Treasure Island, the same building that doubled as the terminal to the Berlin Airport in Indiana Jones and the Last Crusade. Learn more about the event, here. Today, the American Coaster Enthusiasts revealed the official design to Coaster Con XXXVII – and I can’t help but laugh – as it’s nearly identical to the REAL proposal to build a coaster on both the Golden Gate and Bay Bridges! 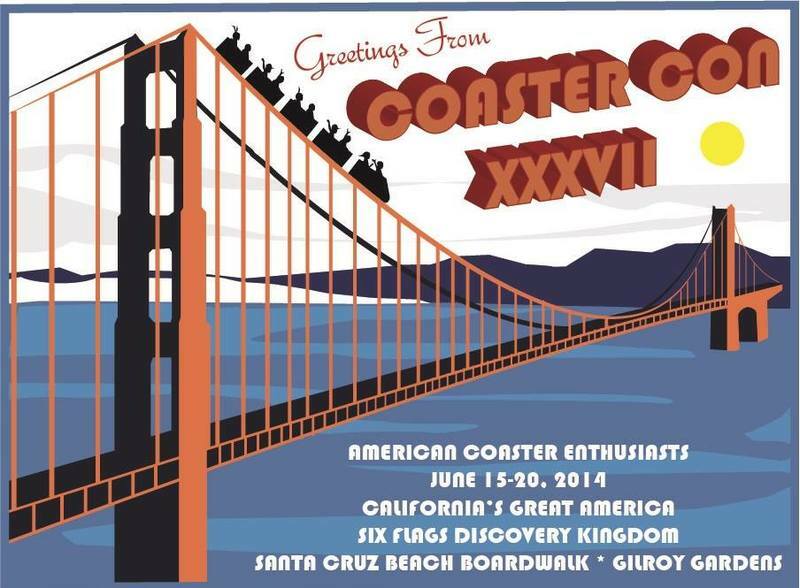 The official Coaster Con XXXVII logo, courtesy of the American Coaster Enthusiasts. 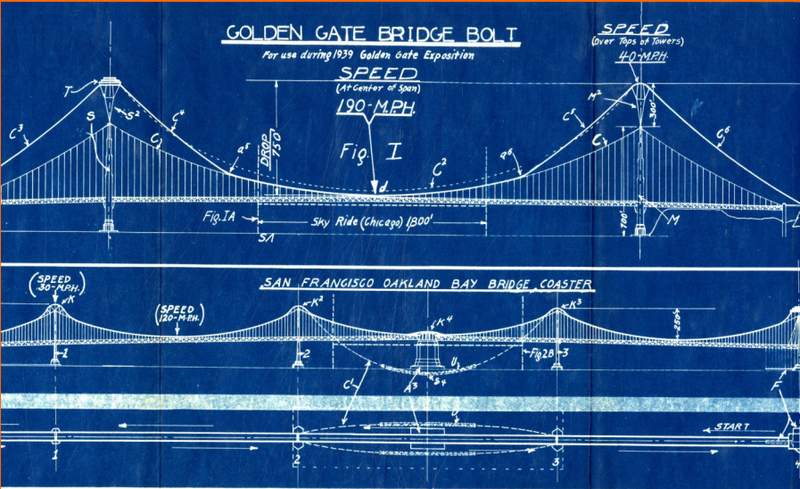 Learn more about the incredible (albeit insane) idea of the Golden Gate Bolt in the next episode of the “Lost Parks of Northern California” debuting in the next few months! 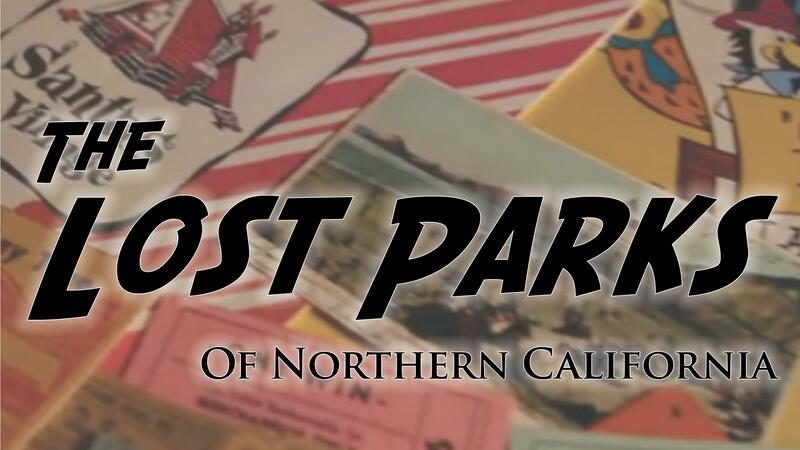 With the event coming up this June in Northern California, we’re all just a little excited to show off just how much we love our parks and our history – let’s ride!